BERG ELITE+ = Quality, Quality, Quality! The BERG Elite+ range is the top of the BERG range, using only the strongest and safest materials and components. This range uses the BERG 'Goldspring+ springs' which provide an awesome high, comfortable bounce and this package comes with the splendid T Series DELUXE Safety Net. This range is available with two padding options, GREEN or RED and comes in a choice of three sizes, 14ft, 12.5ft and 11ft. The BERG T-Series Safety Enclosure has been specifically designed for the ELITE+ range. 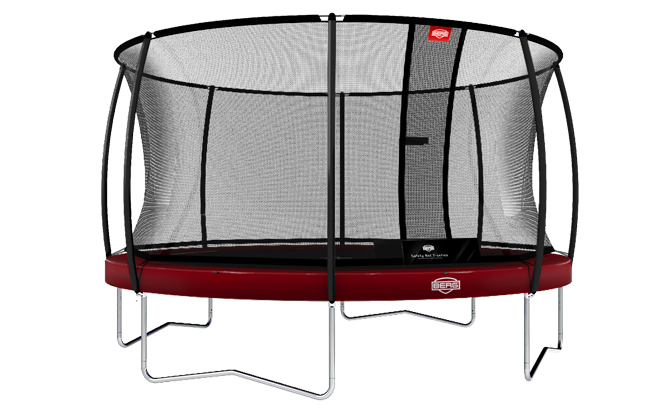 It has a unique, innovative frame construction which enables it to fit flawlessly to the trampoline. This safety enclosure is strong, durable and looks great and it offers stylish peace of mind! 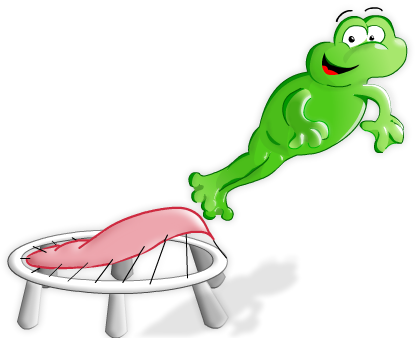 BERG offer a minimum performance warranty of five years on all BERG trampoline models. The exact warranty period is stated in the user manual. A warranty period of two years applies to all safety nets and BERG accessories. Parts that are subject to wear (i.e. elastic elements) and weather influences such as rust and discoloration, are excluded from the warranty.